The addition of nanoparticles to polymer composites has led to a new generation of composite materials with enhanced and novel properties. 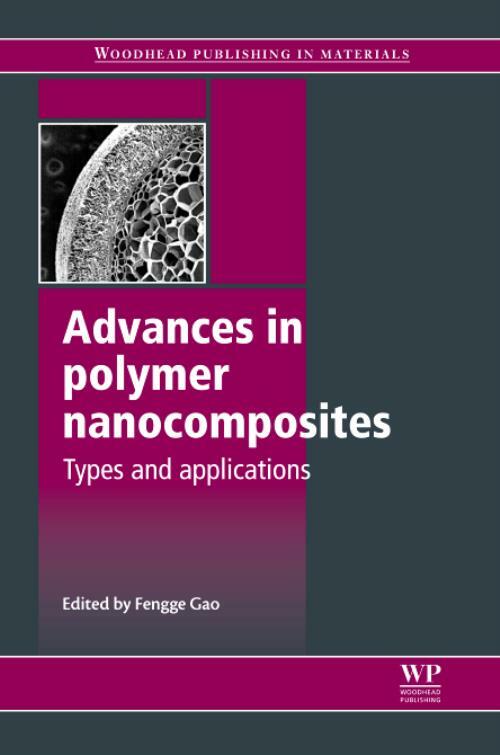 Advances in polymer nanocomposites reviews the main types of polymer nanocomposites and their applications. Part one reviews types of polymer nanocomposites according to fillers. Processing of carbon nanotube-based nanocomposites, layered double hydroxides (LDHs) and cellulose nanoparticles as functional fillers and reinforcement are discussed, alongside calcium carbonate and metal-polymer nanocomposites. Part two focuses on types of polymer nanocomposites according to matrix polymer, with polyolefin-based, (PVC)-based, nylon-based, (PET)-based and thermoplastic polyurethane (TPU)-based polymer nanocomposites discussed. Soft, gel and biodegradable polymer nanocomposites are also considered. Part three goes on to investigate key applications, including fuel cells, aerospace applications, optical applications, coatings and flame-retardant polymer nanocomposites. With its distinguished editor and international team of expert contributors, Advances in polymer nanocomposites is an essential guide for professionals and academics involved in all aspects of the design, development and application of polymer nanocomposites. Gao, FenggeDr Fengge Gao is Reader in Nanotechnology and the Director of Nanoscience Laoratory at Nottingham Trent University, UK. He is one of the pioneers in developing filler enhanced polymer nanocomposites in the UK and is currently leading a group of researchers working on various aspects of polymer nanocomposites and their applications. His recent work on non-migration type antimicrobial polymer nanocomposites won the CenFRA Most Innovative Research Award and UK Food and Drink Forum Innovation Champion Award in 2009.